Vera Bechynova helps children face difficult domestic situations by empowering families to address their own problems and preserve the family structure. Instead of placing needy children in sub-marginal orphanages or state institutions, she has developed an integrated social system to support families at risk. In the early 90’s in the Czech Republic, there was almost no state support in place for vulnerable families with children. Although the risks and consequences of psychological and emotional deprivation among children in institutional care were indisputable, the most widespread solution for children facing difficult domestic situations were punitive or disciplinary measures imposed by the state, including surveillance and transplanting children in orphanages where they would stay until legal age. Neither children nor parents were offered help with remediation of the impaired family environment to protect the family from decay, avoid displacement of a child to a state institution and the separation of siblings. After the displacement of children from families, no work on elimination of causes was usually done which led to the return of the child to family. Placing children in institutional care was perceived as the ultimate solution. A whole new approach called family remediation has been established and grounded in the Czech Republic thanks to Věra’s work. In order to prevent the situation where a child’s needs are neglected in a family and consequently he/she is transplanted into an orphanage, parents are empowered and assisted to maintain a stable family environment. Each year, 350 families get support from STŘEP (transplantation of child to the orphanage is prevented in 80% of cases). Věra has succeeded in implementing the family remediation principle into Czech national legislation and it is now included in the laws on Social Services and Social and legal protection of a child. In order to spread her approach further and share her expertise, Věra has developed educational methodology and has been actively training social workers and colleagues from NGOs country wide. Věra is influencing national policy as a member of strategic commissions and working groups on family and child protection. When Věra founded STŘEP in 1995, the work on empowering families to address their own problems and preserve the family structure so that the children could grow up in their own families was absolutely new and many didn’t trust the approach. Today family remediation has its rightful place in practice, methodology and legislation. STŘEP is constantly innovating and today is further developing its services in accordance with needs of vulnerable families and their children and new trends in legislation and social and pedagogical work, e.g. adding intercultural perspective into the work with families and developing standardized tools to evaluate the situation of families and children. 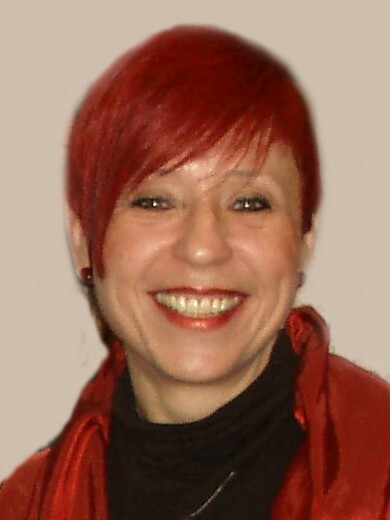 Věra’s vision is to enable social integration of families who, for at least two generations, have been dealing with psycho-social problems (low level of education, unemployment, extremely low income, difficult housing situation, indebtedness, insufficient role-models of parental behavior and child care, communication with wider surroundings – neighbors, educational and healthcare institutions). Parents require support with overcoming increasing frustration, depression and decline into apathy in order to prevent family collapse. Often the relationship to their child is the last motivation to pull themselves together and overcome family crisis. This is why family remediation can be a proper interventive apporach. Prejudices of amateur, professional and political environment should be overcome. Věra grew up in a town where there was an orphanage. She went to elementary and middle school together with children from the orphanage, which is the reason she has a good idea of the concerns and problems these children had when growing up and integrating into society. Věra started her work in the civil sector in 1993 focused on foster care in an association. Her main inspiration then were the words of parents: “There was nobody there to help us when we needed and now you want to deprive us of our child”. Since then she has been working on a strategy to implement and scale an early intervention system, so that family problems don’t get as far as placing children in orphanages.